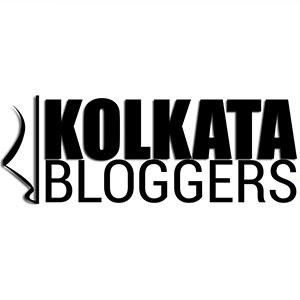 The food battle – Kolkata or Bangalore? Kolkata, the Cultural Capital of India is a heaven for foodies and especially for people with a sweet tooth. Bengali sweets are famous and certainly need no introduction however; the spicy, tangy and absolutely mouth-watering dishes that Kolkata has to offer will leave you undecided on whether you like the spicy Bengali cuisine or the melting flavors of the sweetmeats. Add to that, the traditional Chinese and Tibetan dishes that are found here and you’re spoilt for choices. On the other hand, Bangalore – an Epicure’s Paradise will let you take a magical journey during the night through the streets of and the pleasant aroma of the gourmet food that is prepared here every moment, is sure to leave you in awe. The lovely dishes prepared in the streets of Bangalore are no less tasty than the local and international cuisines at five-star restaurants. The restaurants or kiosks here do not have good seating arrangements – agreed, but eating here under the crescent moonlight with a cool breeze for company is an experience like no other! It has been 7 months for me, here in Bangalore. I wouldn’t in the least deny that adapting to the food here has been slightly difficult for me and most other friends and acquaintances who have moved here from the Northern part of the country. Thanks to my intuitions, interests, will to explore and try out new dishes and my constant hunt for good food that I’ve been able to delve into a lot of Bangalore restaurants as well as street foods. Although, despite being from Kolkata I do not like “macchh er jhol” (fish curry) and “rosogolla” much, in my opinion Kolkata street food for me undoubtedly beats Bangalore street food. Let me draw you a comparison for equivalents of several food items that could be in a constant competition with each other if were to be defended by their respective localites! 1. For any foodie, “pani puri” aka “golgappa” aka “phuchka” aka “gupchu” and the various other names – this delightful thing has become synonymous with ‘Street Food’, and is perhaps the most popular. It is a delight to watch the vendor skilfully punch a tiny hole in each puri, add the fillings and dip it in the meetha chutney/imli pani. Bangalore has Shubh Sweets and Rakesh Kumar Pani Poori stall because come on! You don’t get the real essence of Pani Puri unless and until you’re standing with a small katori made out of dried sal leaves and the eating is all a little messy with imly water dripping out of it and asking the vendor – “Bhaiya, aur mirchi daalo!” (Please add some more spice) even when you’re breathing out fire like a dragon and panting like a dog. Pocket pinch Kolkata vs Bengaluru – 10 to 12 PCs for 20/- VS 5 to 7 pcs for 20/-. Bangalore has “Kunda”, which is the indigenous sweet dish of Belgavi, the sugar bowl of Karnataka inheriting a chocolatey melt-in-the-mouth flavour. Bangalore has been blessed with Brahmin’s coffee bar in Basavanagudi selling tea, coffee, kesaribath and is best in its class of traditional south Indian food like steaming hot rice idlis, and crispy as ever Vadas! 4. Another very favourite street food for anyone in Kolkata would be rolls, be it chicken, mutton, paneer, egg or even vegetarian! Nizam’s in New Market, an established founded in 1932 has surely made a mark in the hearts of Kolkatans with their kaati rolls, so has Hot Kaati Rolls in Park street. Bangalore on the other hand, has given birth to Khan Saheb grills in Indiranagar which sells mixed vegetable tikka rolls, paneer mushroom , babycorn tikka roll, mutton bhuna and many others with exclusive add ons like kathi wrap, single egg roll, etc. 5. Once home to 20,000 Chinese, Kolkata’s Tiretti Bazaar has all the traditionally cooked Chinese foods luring people from all over- especially during the Chinese New Year, when the place is decorated with Chinese hangings and little dragons on the shops and houses. Chinese Breakfast consisting of rice dumplings and soup is the most sought after Chinese preparation while one can also find the Indian version of Chinese. However, visit the place no later than 5.30 AM since stocks last till about 6.30 or 7 AM. Bangalore’s much neoteric VV Puram food street has everything from the hot and spicy Masala Dosas to the sweet and sublime Dal Holige drenched in pure ghee, the rose gulkand enriched with the goodness of pure Honey and white Butter is one thing you should not miss at the Shivanna Gulkand Center. The food here is also quite economical and one of the best in Bengaluru. There are a number of stalls here including the Pav Bajji stall, the Sweet Corn stall, Manchurian stall to name a few. While Kolkata is yet to get a Dunkin’ Donuts, Burger King, Whoopeez, Nando’s, California burrito, Krispy Kreme, Taco Bell, Mad over donuts and several other international food chains, we can not overlook the Heritage Restaurants in Kolkata like Mocambo and Peter cat creating milestones for decades! Bangalore has 14 Starbucks outlets while Kolkata got its first one only this 2018 ; Same with the newly opened Hard Rock cafe Kolkata. However, the luxury of those can be easily given up for the brand new floating market that has been set up in patuli, with 114 boats and 228 sellers, Kolkata Becomes the first metro city to house a floating market the only others being seen in Venice, Thailand, Kashmir and Vietnam. Also, there are several outlets in Bangalore trying to sell products by tagging them as “Kolkata” even if they do not taste remotely Kolkata-ish. I remember one particular incident when I went to this particular Brew cafe in SG palya, Koramangala and they had a ‘Regular samosa’ as well as a ‘Special samosa’. On being asked, they said “It is made the Kolkata way”. Now, to decipher that is up to you because to me, it tasted nothing close to what would ideally be a “Kolkata’r shingara” for me. However, the air of Kolkata and the hospitality will forever prove to you that Kolkata is an emotion and take you far, far away from the Bangalore traffic into a world of sweeter, more subtle food. Previous Post Starbucks coffee at Rs 100, fake or real? Loved the comparison you’ve made! I’ve had a taste of both places as my brother studies in Bangalore and we pay a visit every now and then and the fact that I stay in Calcutta, I have to say that the trophy for cheapest and the tastiest street food goes to Calcutta, but Bangalore has amazing South Indian food! Both places have their own charm. Exactly. Glad that you liked it.